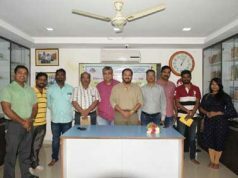 Bhubaneswar: A Book Release Function was organised on 11th April 2018 afternoon at Redcross Bhawan, Bhubaneswar jointly by CSD Trust and Priedi Gramsabha to release the Odia document entitled “Gosthi Jangal Sambala Surakshya, Samrakshyana o Parichalana Jojana” (Protection, Conservation and Management Plan of Community Forest Resources), Priedi Gramsabha” for public use. The document is being prepared under “the Scheduled Tribes and Other Traditional Forest Dwellers (Recognition of Forest Rights) Act, 2006” (in short FRA) and its Rules, which acknowledged that the scheduled tribes and other traditional forest dwellers who are integral to the very survival and sustainability of the forest ecosystem. It recognizes the historical injustice meted out to them (forest dwellers) by the State and its institutions. It seeks to secure the traditional rights over forest land and community forest resources and establish democratic community-based forest governance. Changing the “top-down” state forest conservation governance regime, FRA supports community based “bottom-up” forest governance (institutional) paradigm. The law recognised the gramsabha (village level institutions) the rights of protection, conservation and management of its Community Forest Resources (CFR) and authorized and empowered the gramsabha to prepare its own conservation and management plans, which effectively address both environmental conservation concerns and livelihood issues of the traditional forest dwellers by ensuring strong, sustainable and effective forest governance. So far, only a very low i.e., only 4 percent of the total potential CFR area has been recognized, although thousands of villages practicing effective ‘community based forest protection and conservation’. Although, the recognition of rights over CFRs has become completely slow in the state of Odisha, the Gramsabhas of the forest dwelling villages have been facing serious challenges and road block in the assertion of their rights over CFR, where rights have been already recognised. One of the most important reasons for such challenge is “the community takeover and full control over the community forest resources and their effective management”. The rights and ownership over CFR would be meaningful and complete only when gramsabha as the rights holders take complete control over their assets i.e., Community Forest Resources. A simple and user friendly CFR Management Plan would be an urgent necessity and priority to make solutions which can help to reduce the continued confrontation and challenges faced by the forest dwellers from existing state regimes. The draft guidelines of CFR Management Plan developed by Ministry of Environment & Forests sent to Ministry of Tribal Affairs, Government of India has been lying for long time. The village communities/ Gramsabhas, civil society and officials facilitating FRA implementation are constrained with that. In such a struggling situation and surfacing of new (The Compensatory Afforestation Fund Act, 2016) and addition with the existing anti-forest rights regimes in India, Dr Sricharan Behera and Jitendra Kumar Sahoo, in Odisha, have taken an attempt with regular process facilitation and documentation of Priedi Gramsabha, Kandhamal district and developed a community and user friendly “Community Forest Resources Conservation and Governance Plan”. This plan document has been prepared through direct and continuous observation and interface of communities with forests resources, their traditional knowledge, institutional setups, regulatory norms and resource conservation and use practices. 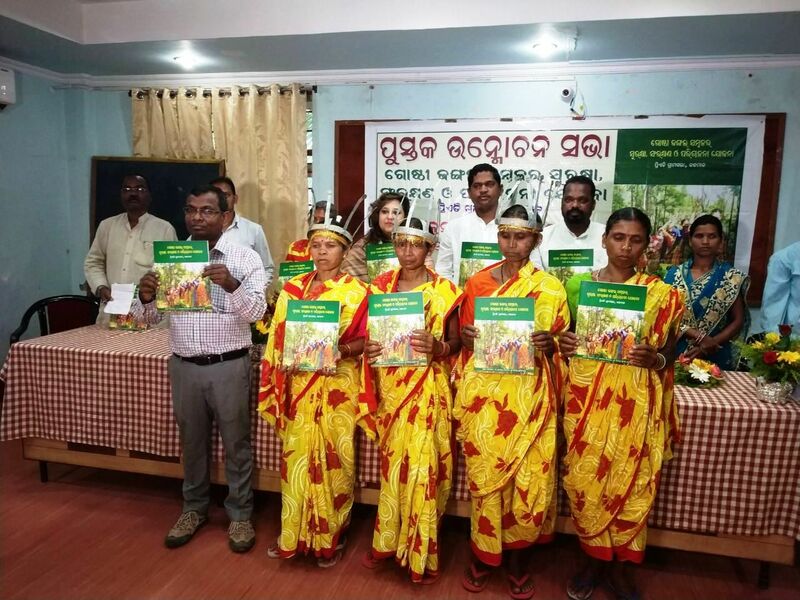 However, Priedi Gramsabha & Centre for Sustainable Development Trust, Kandhamal jointly published the document with intent to share and disseminate the learning, which can help as a reference for the villagers/gramsabhas and process facilitators in the process of preparation of CFR Management Plan. 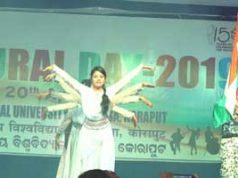 On the occasion Shri Ramesh Chandra Majhi, Hon’ble Minister, Scheduled Castes & Scheduled Tribes Development, Government of Odisha was the Chief Guest, Smt. Pratyusha Rajeswari Singh, Hon’ble Member of Parliament, Kandhamal Loksabha, as Guest of Honor and Shri Duguni Kahnar MLA, Phulbani as invited guest have joined and released the book for public use. Dr Behera has shared a brief presentation and highlighted key contents of the book which contained the resource conservation, harvesting methods, regeneration plan, fires protection, Dispute resolution mechanisms and penal provisions, rights and duties of neighbouring village traditionally depending and accessing the forests in Priedi CFR boundary, Finance management, Management of timber, Bamboo, intellectual property and traditional knowledge, cultural and ecological biodiversities, grazing lands, water bodies, etc. It includes institutional structures and regulatory norms and principals, Finance and general management matters, etc. The book in its annexure also put some very significant post management and conservation impact on the resources, wildlife, soil conservation, etc. The attempt is being made to make the language of the document simple and communicative to understand by a simple literate common man avoiding the legal and technical overloads. He has emphasized the significant contribution of women in management of CFR in Priedi therefore suggested special institutional space (women unit) in decision making process in the plan. Smt. Sarati Malik, Vice-Chairman, Kandhamal Zilla Parishad narrated her experience on FRA implementation in Kandhamal and appreciated the role of Sri Behera and Sri Sahoo. Among others Sri Gopinath Majhi, Convener, CSD Odisha, Sri Ravindra Kanhar, Secretary, Smt. Sanja Malik and Bishnu Charan Malik, Member of Priedi CFR Management Committee and Sri Jitendra Sahoo have shared their view. Senior Forest Rights Activist, Sri Sudhansu Sekhar Deo has presided and facilitated the entire event supported by Sri Pradip Sahoo and Priyabrat Satapahy. On the occasion More than 100 persons including 39 persons from Priedi village alone, 10 others from Kandhamal district, more than 50 civil society members, activists, researchers, academics, practitioners retired officials have participated. On behalf of CSD Trust, Sri Jitendra K Sahoo extended a hearty welcome to the guests and participants. 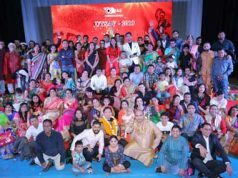 The document prepared in Odia was formally released by our guests. Hon’ble Minister Sri Majhi, Hon’ble MP, Smt. Singh and Hon’ble MLA Sri Kanhar have shared their view. All of them valued the inventiveness of people and Dr Behera and Sri Sahoo for bringing this very useful plan document. The guests observed that the book would definitely help for more and more villagers and Gramsabhas in Odisha to come out with their own CFR Management Plan would help to speed up the implementation of FRA in the State. Among others Sri Gopinath Majhi, CSD Odisha, Prof. Premanand Panda, Ex- Director, ST&SCRTI shared their appreciation on the initiatives and its usefulness in the process. A celebration with Kui folk dance dance has cheered up the occasion and the meeting ended with vote of thanks by Sri Gopinath Kanhar, Kandhamal.